The C-6 Black Hawk combines sleek black style and amazing cooling performance. 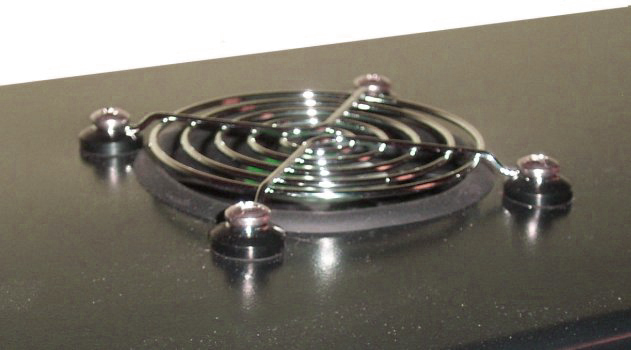 Its smooth clean lines are complimented by its sleek chrome finished molding. Its design may seem simple, but it is sure to draw attention. 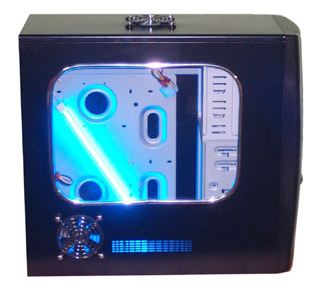 The case includes 6 high output Y.S. Tech fans, and totals over 240CFM air movement. All the exterior fans come with a high quality chrome grill. The case also comes complete with a large window with chrome edging which matches the front bezel and contrasts against the jet black finish on the case. A top mounted fan ensures all the heat can escape the case effectively. 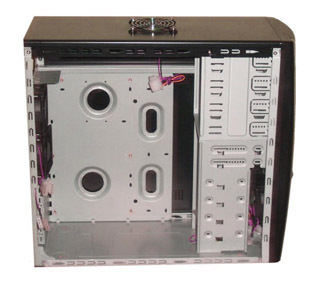 Rubber molding is placed around the hole as well as rubber washers under the screws to reduce noise and vibrations. 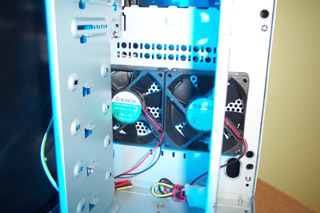 The two front mounted intake fans draw cold air into the case for maximum cooling power. 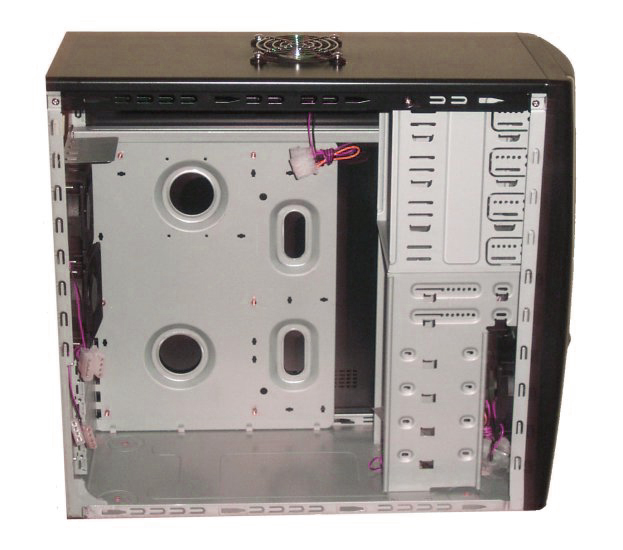 The C-6 is able to accommodate any standard size motherboard, comfortably. Plenty of room is available for future add-ons, also.